This is an Amazonian giant centipede, I hope I don’t have nightmares! One of the creepiest animals in the world is the Amazonian giant centipede, also known as the Peruvian giant yellow-leg centipede. Even my dad is freaked out by them. These guys are very big and scary, measuring at up to 30 cm (or 1 foot) long. They have powerful jaws than can break the skin and inject a very painful venom. Whilst they are rarely fatal to humans, you don’t want to be bitten by them. Their body is made up of 23 parts, each with their own pair of legs. They don’t breathe through their mouths, but have small holes in the side of each segment, that enable them to absorb oxygen to keep them alive. They are fast runners and because they are almost blind, they are very nervous, either running away or attacking when disturbed. Their size, speed and poisonous bite makes them very effective predators. They can catch and eat insects, tarantulas, small lizards, frogs, small birds, small snakes, rodents and even bats. They wrap their body around their prey when they catch it, to hold it while they attack and eat. Amazonian giant centipedes are found in forests throughout South America and on a few islands of the Caribbean. I hope that your weren’t freaked out by these guys and learned something new. 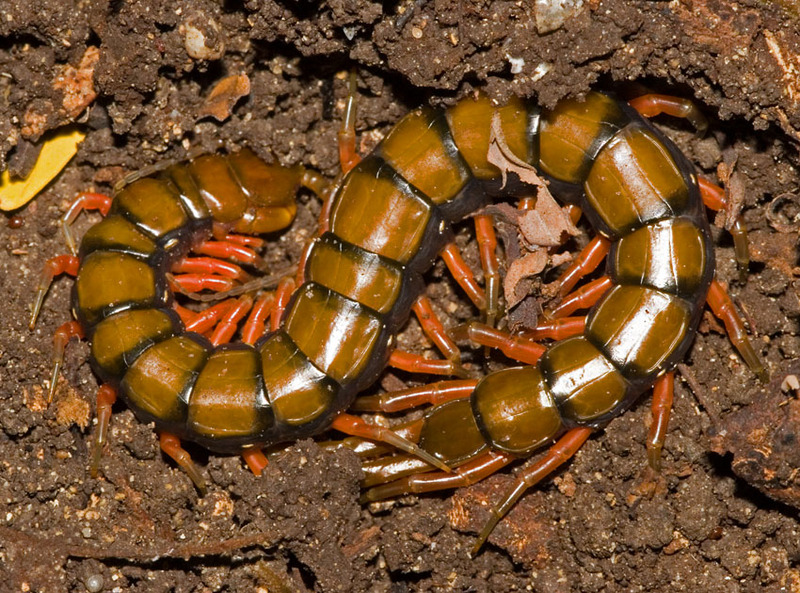 Are there any interesting facts that you would like to share about Amazonian giant centipedes?